Tata Motor’s Nano wasn’t spectacular buy for the Indians. If referred to the sales number till date since the production commenced, it can now be revived safely the automaker is in a league to yoke another chance at it. 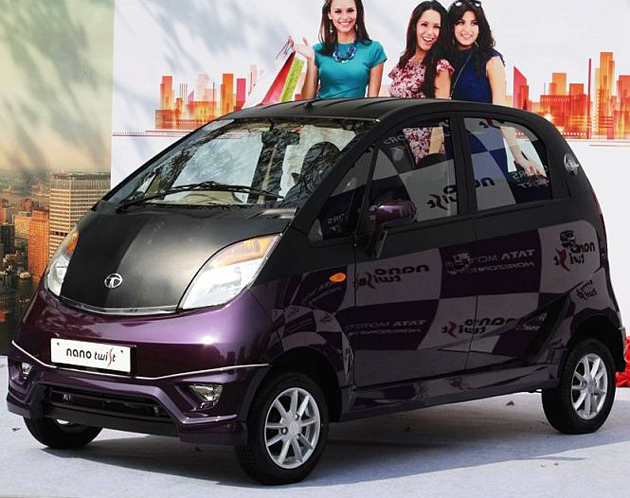 Reportedly, Tata Motors launched a new variant of the world’s cheapest car to make it more attractive. To study that in detail, earlier, Nano was sold with power-steering in XT trim, whereas now it is rolled out in XE trim as well which is a good Rs 36,000 cheaper than the former one. Powered by a 635cc petrol engine, there doesn’t seem any other change made to the drivetrain. In fact, the official feature list is yet to be extracted. Minute details of the segmentation of Nano speaks, there are still 2013 models not cleared from the stockyard, which aren’t loaded with the ‘power steering’, in sense creating pricing for the officials a bit confusing. The new launch variant XE is speculated to soon become the base variant if those aforesaid trims (without power-steering) will get discontinued. And if not, then the pricing between all the variants will be tweaked so that power-steering models may get to see the more urban buyers, whereas the other ones to be priced quite low to take on the semi-urban or rural admirers. Alongside, there does also lay rumour of a 1.0-litre 3-cylinder petrol engine making way to the market with five-speed transmission. All of the aforesaid speculations remain unclear of the confirmation from the automaker. Even the ones that are launched still needed to see more clear accounted details to make the scenario visible better.